After studying the topic, you might benefit from the MCQ Quiz over here. How do we plot the curve on a graph paper? For various values of 'x', evaluate the expression f(x) similar to the way in which algebraic expressions in one variable are evaluated. There are plenty of examples for evaluating algebraic polynomials for specific values of 'x': here and here. 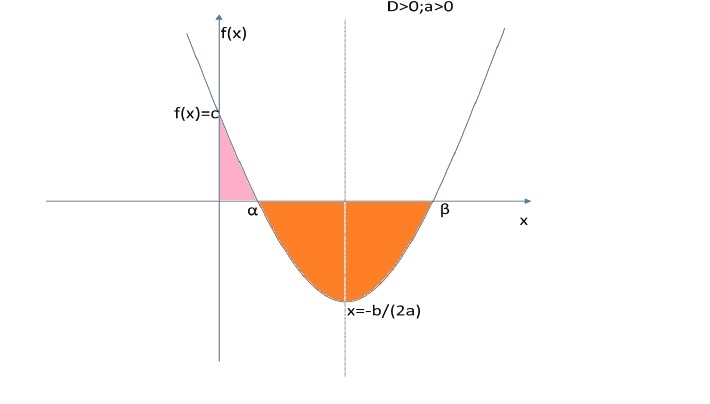 In the case of quadratic polynomials, we get a parabolic curve. Roots of a Quadratic Equation : Are they real/unreal, equal or unequal ? Roots can be verified using the factor theorem (Check out this tutorial specially example 6). A Quadratic equation could be solved by factorization, or by using the direct formula written above. Certain equations are not quadratic, but can be reduced to a quadratic form by certaing substitutions. In such cases, applying the right form of substitution yields the required solutions. one distinct real and two conjugate unreal roots, all distinct real roots. The number of roots of an equation with real coefficients is equal to the degree of f(x). The way to solve a higher order equation is by factorization, or by using the factor theorem, or by reducing it to one of the lower order equations. The factor theorem is: (x-a) is a factor of f(x) if f(a)=0. If α,β are roots of a quadratic equation find their sum and product. Find the number of real roots of an equation. Find the number of solutions of a given equation. Questions related to simple cubic equations. MCQ Quiz/Worksheet for Quadratic Equations- test how much you know about the topic ! Your score will be e-mailed to you at the address you provide.